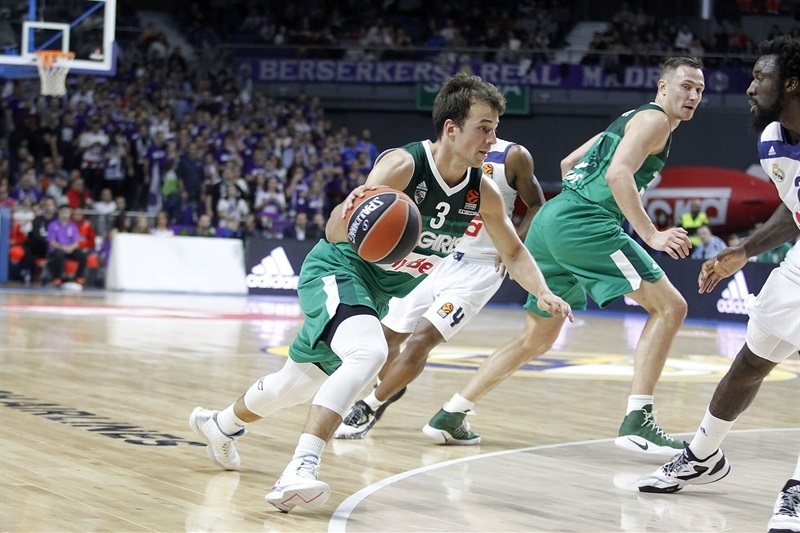 With its top player this season sidelined and its home court under threat, Real Madrid relied on their teenage sensation to squeeze out a 96-91 home win on Friday against feisty Zalgiris Kaunas. Luka Doncic, all of 17 years old, drilled back-to-back three-pointers and insurance free throws for 8 of Madrid's last 10 points to lift his team's record to 8-3. 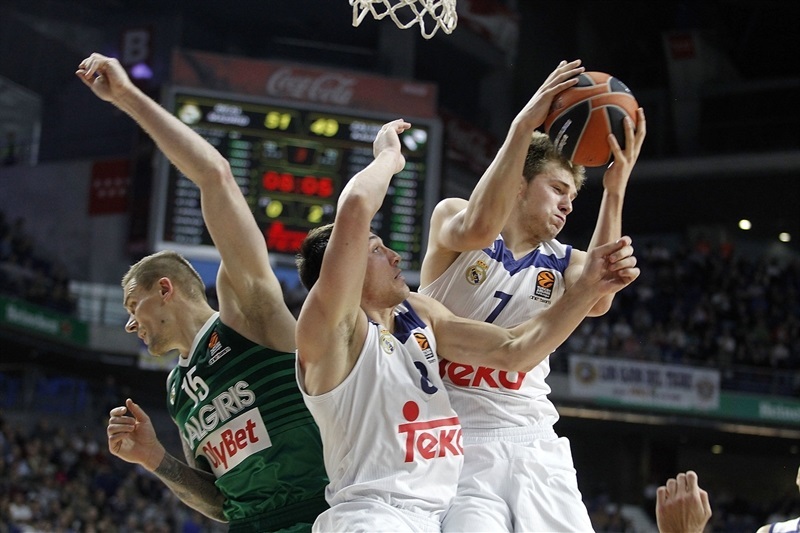 His late heroics gave Doncic a career-high 17 points. Gustavo Ayon followed with 13, Anthony Randolph 11, Jonas Maciulis and Othello Hunter 10 each, while Rudy Fernandez dished 7 assists. Zalgiris got 19 points from Kevin Pangos, 17 from Brock Motum, 13 from Paulius Jankunas, 12 from Edgaras Ulanovas and 11 from Arturas Milaknis in defeat. 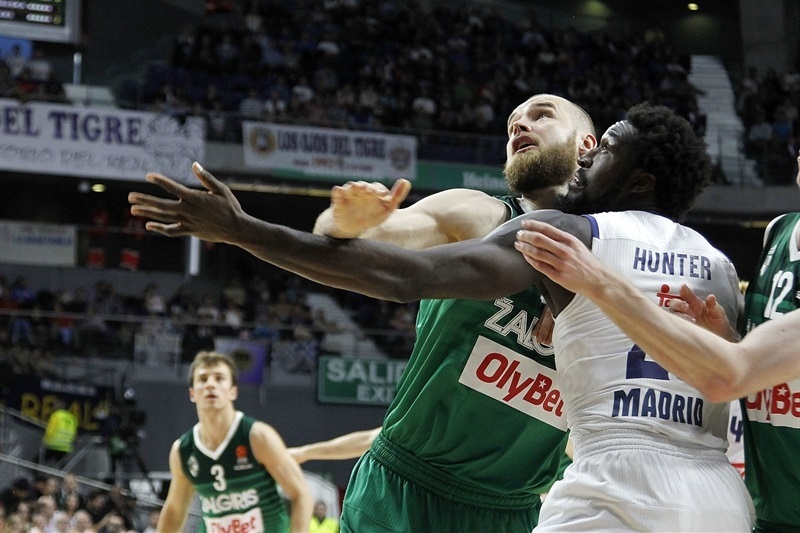 Madrid now has a 14-1 record this century against Zagliris, whose record this season dropped to 3-8. 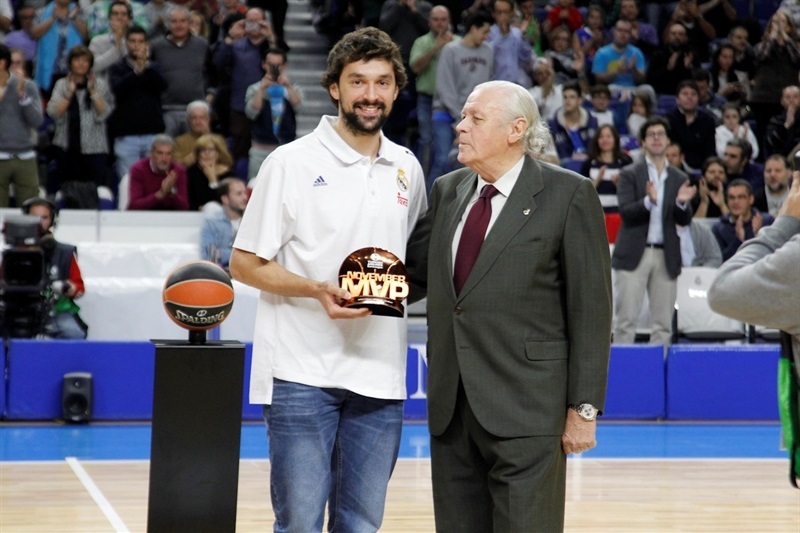 Madrid's Sergio Llull wore street clothes due to knee problems when he received his EuroLeague November MVP trophy in a pre-game ceremony. 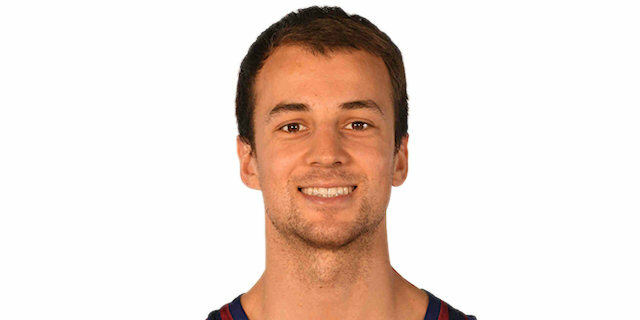 Kevin Pangos scored 5 quick points and Agusto Lima, on loan to Zalgiris from Madrid, slammed a tip-in for an early 7-7 tie that set the tone for the night. Motum from deep and Ayon inside, then Pangos from deep again and Doncic at the foul line kept it tied 13-13. 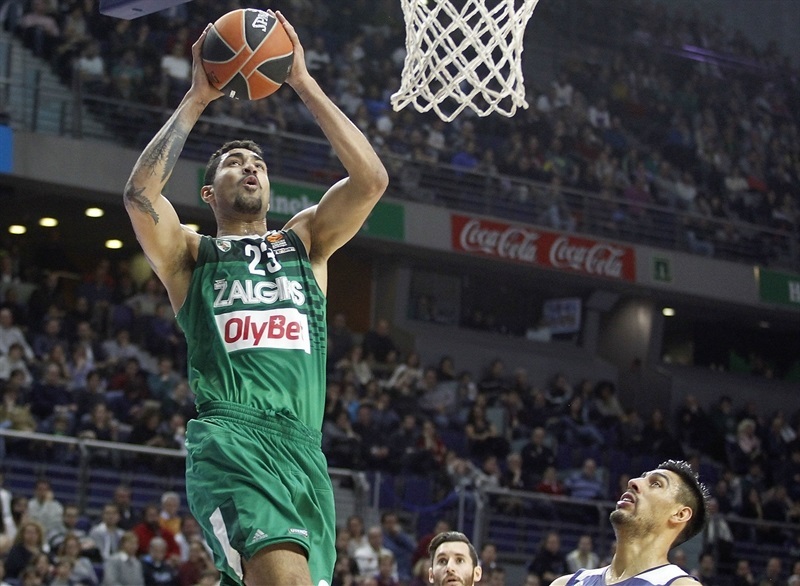 Felipe Reyes scored inside and at the line for another tie that Milaknis answered with a triple, but Ayon sparked a 6-0 run that ended with his steal and fastbreak dunk for a 25-22 Madrid lead after 10 minutes. 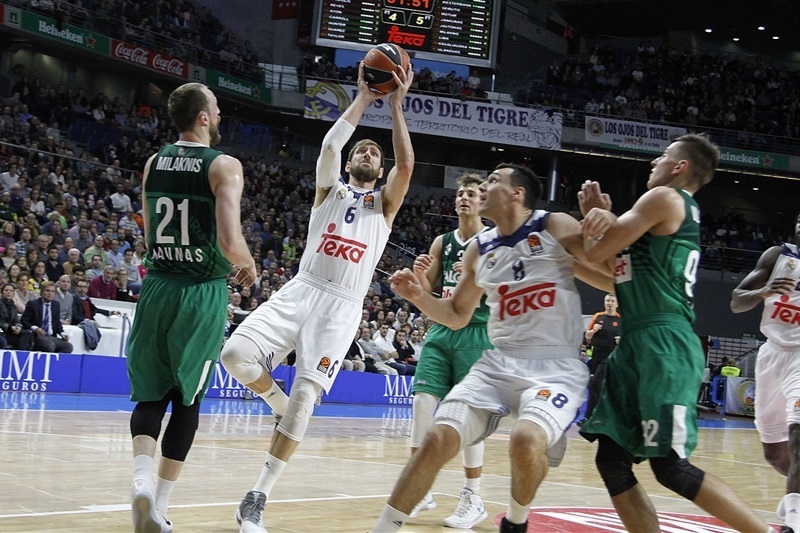 Fernandez's no-look pass to Randolph for a layup sent Madrid ahead 28-22, but again Milaknis steadied Zalgiris from long range, and his next triple was even quicker, hitting nothing but net for a 28-28 tie. Ulanovas then fed Javtokas for a go-ahead basket that Lukas Lekavicius turned into a 28-32 lead at the foul line. Randolph's jumper was matched by Ulanovas before Doncic fed Jeffery Taylor for a dunk. Pangos banked in triple, however, and then got 3 points the hard way as Zalgiris ran ahead 33-40. Maciulis responded for Madrid from downtown against his old team and then Andres Nocioni copied him in transition as Fernandez assisted both. Motum found an open layup and Ulanovos drilled a three to restore a 39-45 Zalgiris lead. Hunter took over then with free throws and a pair put-backs, one slammed on a fastbreak, to make it 45-45. Milaknis and Pangos each hit 2 free throws, Hunter just 1 of his, but then he assisted Nocioni for a game-tying corner triple for a 49-49 halftime score. 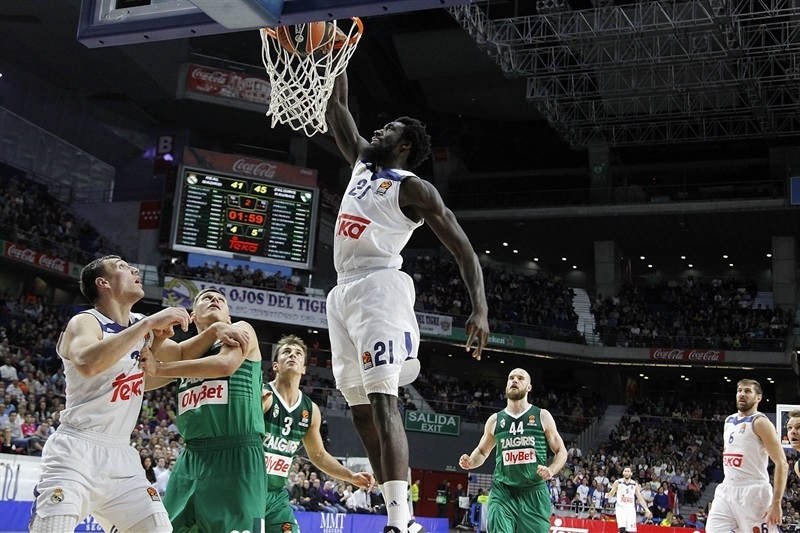 Ayon broke the tie to open the third-quarter scoring, then Doncic added a fullcourt layup to Madrid's tally. Jankunas scored his first points on a feed from Robertas Javtokas but Reyes matched that with free throws, and when Doncic pulled up for a triple it was 59-51 and Zalgiris needed a timeout. Ulanovas answered the call with a three-point play for Zalgiris. 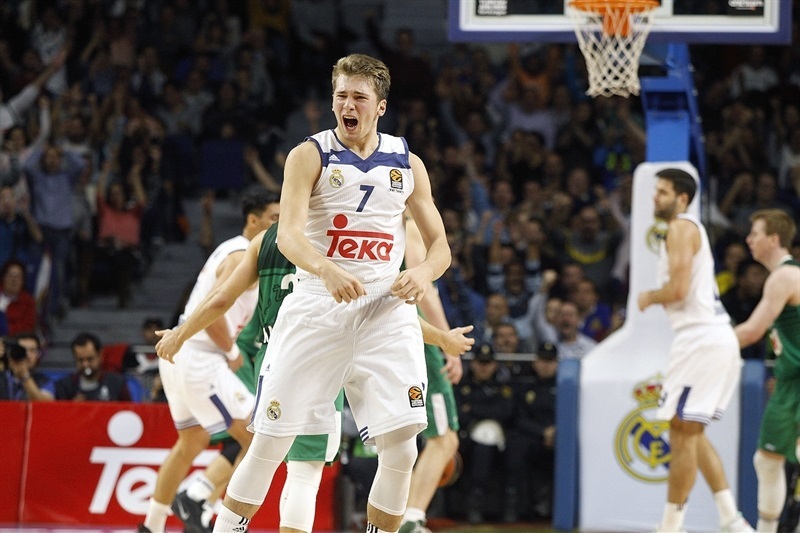 Doncic made a sweet layup before Maciulis made back-to-back three-pointers at 67-59. Ulanovas with free thorws cut it to 67-62. Fernandez made a nifty layup and Randolph free throws that Jankunas largely negated with 3 of 4 foul shots of his own at 71-65. Randolph's long two-pointer and one by Jankunas led to the latter's late fastbreak layup and a 74-69 score after 30 minutes. 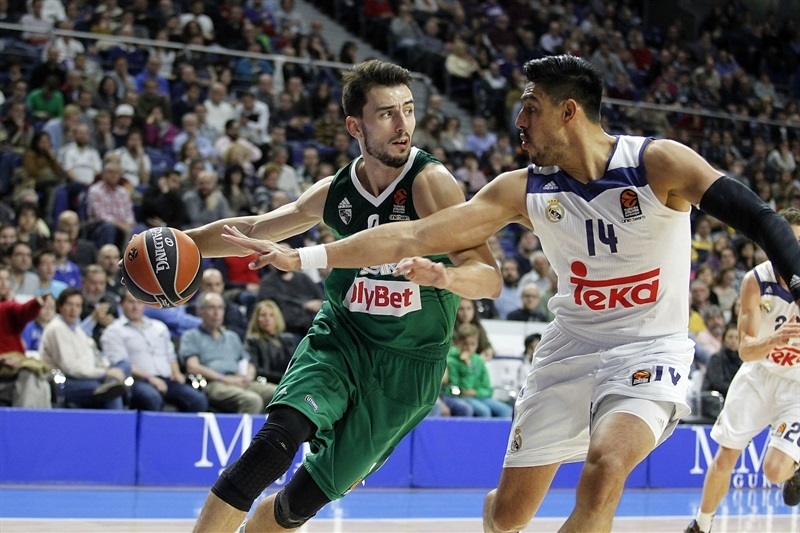 To open the fourth quarter, Hunter's three-point play restored Madrid's highest lead, then Randolph upped it to double-digits for the first time with free throws at 79-69. 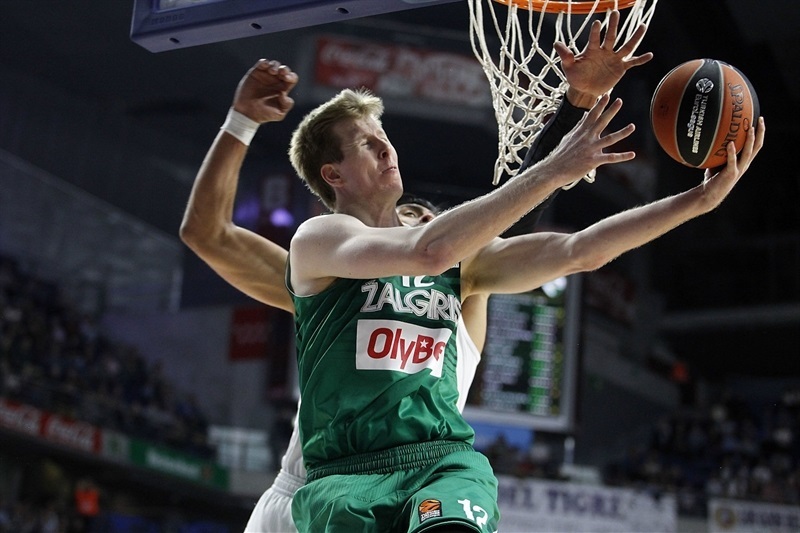 Motum's foul shots and a big slam by Ulanovas got Zalgiris closer again, 79-73. Jankunas banked in a left-hander next but Dontaye Draper erased that with free throws. Then Jankunas downed a put-back and Westermann rattled in a triple at 81-80 with 4:30 to play. A broken play extended the Zalgiris run to 0-8 when Lekavicius drilled a go-head triple at 81-83. Fernandez answered with game-tying free throws, then Ayon stole and raced the other way for a new Madrid lead. He soon added 1 of 2 free throws, but Motum was left open for a triple and another tie, 86-86, with 2 minutes left. 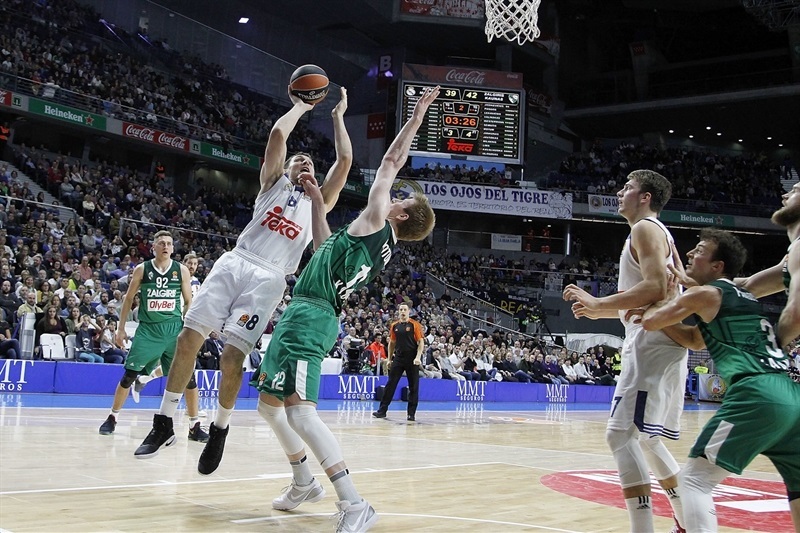 Doncic did Motum not one better, but two, with a step-back triple from the top with 1:37 left, and after Ayon made a big offensive rebound, the exact same strike from the top with 44 seconds left, putting the game out of reach like few 17-year-olds in basketball history on a stage so big could say! "Our defense was better in the second half. We got control of the game. But we were not playing offensively the way we wanted. We made some mistakes that got them back in the game. We had 8 or 10 points advantage, but they came back. And we had to play until the end. I am happy for the victory. 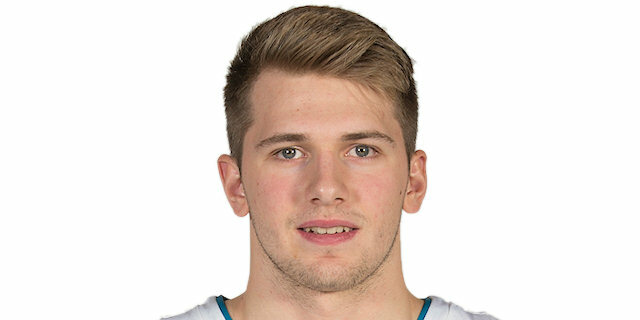 Doncic played great, because he played great in the last minutes. He had some problems in the beginning on defense, but I think he gave us a lot of things during the game. I am happy for the kid. He was coming off a not very good game against Fenerbahce. He gave us a lot of things tonight. I am happy for him, happy for the team." "First, I want to congratulate my team for the victory. I think it was weird, for a single reason: we have a 124 performance index rating to 85 for them, which is a 40-point difference, and yet it was quite an equal match. I will try to explain why. I think we did many good things. As a matter of fact we won. You can keep that, which is real. But I also believe we were very much caught up in making a lot of mistakes that they punished quite well: one-on-one situations, ends of quarters, balls we lost and then they scored three-pointers, situations we discussed and then played the opposite. I think we were punished for those mistakes and I believe that to control the match, we would have had to minimize those mistakes. That's why we had to compete until the very last seconds. Zalgiris played very well, is very dangerous from the three-point line. I am happy with the victory, because we know in that in the EuroLeague each victory is difficult." "I believe in general, we didn't do what we had to do to win. We can see that in the 96 points that Madrid scored. We missed a lot of details, we missed a lot of small things. And in general if you want to win here against Madrid, it's impossible if you give up 96 points. We were lucky in some situations in the attack. We knew we could damage them in some situations. And we were smaller but faster in some positions. We were there, but during the break, I told my players we need to be tougher and make them score less. But we still gave up 25 points in the third quarter and 22 in the last one. A little better than in the first half, but it was not enough." 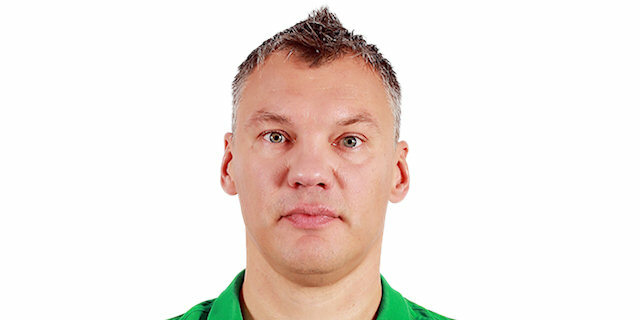 "It was a very difficult game, because Zalgiris is one of the best teams in the EuroLeague. We have to work hard for every game in EuroLeague. I am happy for the team, and we did great. I am really young, but I think Pablo Laso is a great coach, and he trusts me." "I thought we had stretches where we were good and stretches where we were really bad. We missed a couple of opportunities where we could have stretched the game open and gotten a couple of stops. It’s too bad. We had control of areas of the game. We have to learn from it and move on. We definitely could have played better."